by Awde, Nicholas, Samano, Putros, Awde, N.
Awde, Nicholas, Samano, Putros, Awde, N.
Nicholas Awde was born in London in 1961 and spent much of his childhood in Africa. He studied Arabic at London University Putros Samano was born in Iraq in 1953 into an Assyrian family. 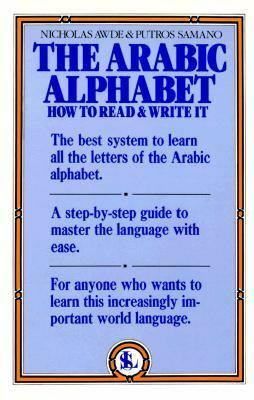 Since 1974 he has been living in Britain and working as an Arabic/English translator and interpreterAwde, Nicholas is the author of 'Arabic Alphabet How to Read & Write It', published 2000 under ISBN 9780818404306 and ISBN 0818404302.